1.OUR LED Light Up Beads Necklace is festive and fun! With flashing beads, this necklace is a great accessory for Mardi Gras and Spring parties. 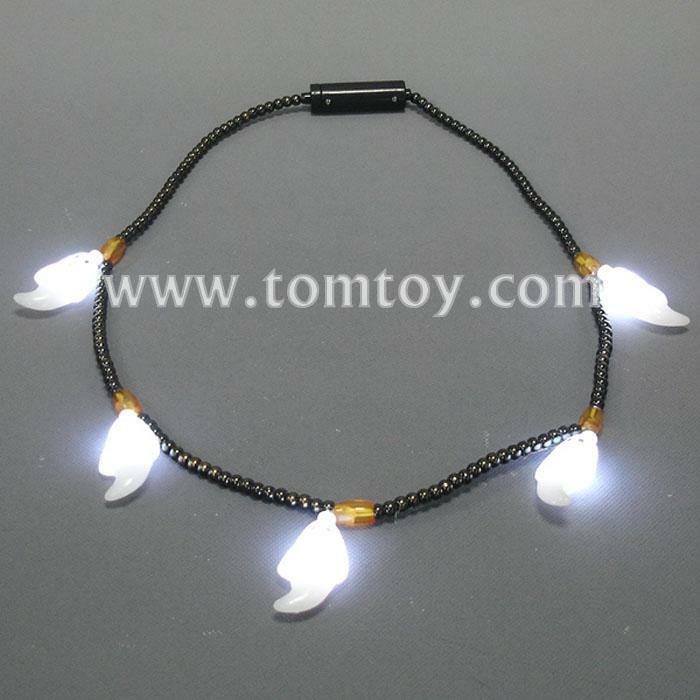 2.This light-up necklace features 145 small black beads and 5 transparent yellow beads and 5 white ghosts character , with 5 bright LEDs. Total length 31" long . 3.Press the button at the top to turn the LED lights on to feel the 3 blinkings : fast flash , slow flash and stay on. 4. Three AG13 batteries are included and installed .Easy to use, and absolutely amazing Led Necklace product.